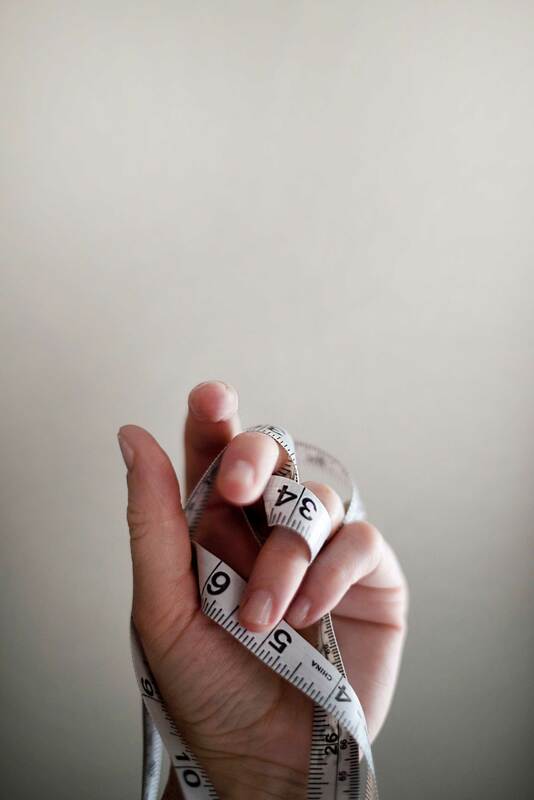 If you are making your own clothes, or for someone else, it is important that you take accurate body measurements to ensure that the clothing fits well and has a nice shape. Make sure you keep a notebook of these measurements so that you can refer to them at a later date, or remake garments in different colors or patterns if you are really happy with them. Taking body measurements is one of the essential sewing techniques. When you measure round the waist, you need to measure the narrowest part of the body, just underneath your rib cage, right above your belly button. Don’t be tempted to measure where pants ordinarily finish, or the fit of your garment won’t be accurate. This is especially important if you are making a made-to-measure suit. Your hip measurement should be taken from the widest part of the hips. When you are measuring, make sure that the tape is parallel to the floor and even all the way around the body. It is always good to have someone to help you measure for these. The front waist length measurement should actually be taken on the side of the body, to avoid the bust area which can vary greatly from one person to the next. You should be measuring at the side of the nape of the neck, down the body to the waist. The back waist length can be taken from the back of the neck, straight down the spine to waist level. Make sure the tape is flat against the body. Arm measurements should be taken from the wrist line, over the elbow bend to the tip of the shoulder. Make sure that you keep the arm very slightly bent when taking this measurement. The seam length for shoulders should be from the base of the neck, through the middle of the shoulder to the tip. If you are taking an underarm measurement, take it from underneath the elbow, at the biggest point of the arm. Again, arm and shoulder measurements are much easier to do if you have someone to help you. You can use these body measurements to make great fitting garments time and again. You can always use them to make your own pattern for designing your own original clothes.